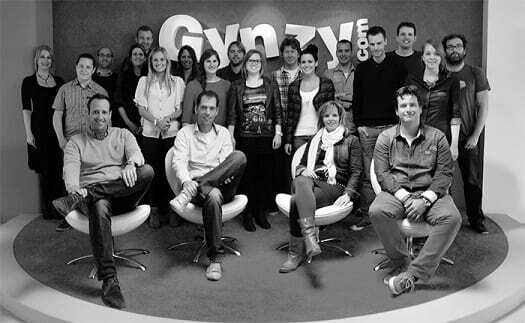 In the next couple of weeks we would like to introduce you to the Gynzy team. This week we introduce you to Ruud. Hi there! My name is Ruud. I work at Gynzy in the School Support Team. For me there is no “average” work day. Some days I work from 8 AM till 5:30 PM at Gynzy and some days I combine working at Gynzy with studying for my Master’s Degree in Human Technology Interaction. When I am working I normally go through e-mails from teachers/IT coordinators and answer phone calls. These messages can contain anything from questions regarding lost passwords to suggestions for new tools. When I can, I try to combine newly learned information from my studies straight into my daily work. I’d like to think that my task is to be the eyes and ears of Gynzy. Trying to figure out what a teacher would love to have in Gynzy and figure out how to improve our product even more. The fact that we are actually helping teachers teach kids and mold them for the future, makes it worthwhile. In the end you could say it all comes down to one of our core values: “Happy teachers, Happy kids”. In my personal life I am quite active as a volunteer for the Scouts. 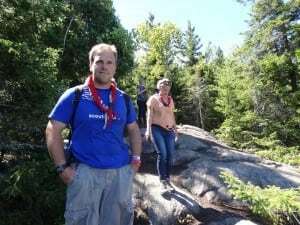 I’ve been a Scout leader for quite a few years with a local troupe and I also participate as a board member responsible for equipment and safety. Lately I’ve become involved on more of an international scale. One of the highlights will be in the summer of 2015, when I’ll be accompanying 36 youth participants to the World Jamboree in Japan. In this picture I was taking a road trip in Canada with some friends from St. John’s (New Foundland) to Toronto (Ontario). You can basically contact me for any Gynzy related question. For example if you need any help in using or setting up Gynzy, or if you have some valuable feedback on how to improve Gynzy, I’m your guy. I’ll do my best to answer any questions that you may have and will combine and relay feedback as well as possible to our team members.